The big wheel craze for dirt lovers out there is upon us. I was at a cross country MTB race this weekend and I was shocked to see how many people, novices and pros alike, were on 29er mountain bikes. And they weren’t just on 29ers, but they were having a rip-roaring time on their bigger wheeled bikes. Luckily, the terra-firma lovers here at MPGEAR saw the revolution coming, and made sure to stock up on all things 29er, from the great Kona Bikes line with the Unit and King Kahuna framesets, to the reveered and sought after Dean Ace, Dean Colonel and Dean Baja bikes. We also made sure to stock 29er tires, like the Schwalbe Racing Ralphs in two widths and the proven and fast Maxxis Crossmark. While you are jumping on bandwagons, grab a tubeless 29er conversion kit from Stans NoTubes to lighten up those big hoops and get you that flat protection for the all day trail adventures. 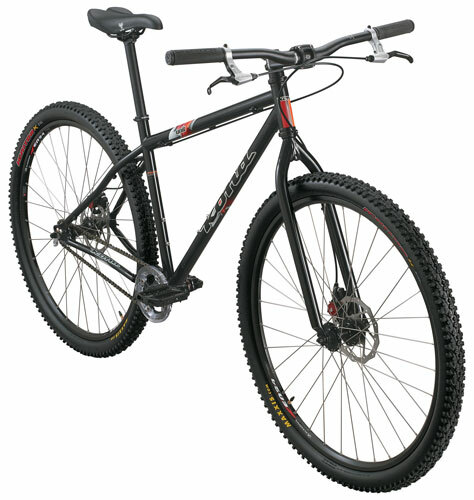 So swing through our online 29er shop and see what you like. We are adding new 29er products on a regular basis, so check back often for great deals and the hottest new stuff for your big wheel bike! !